This course will look at how to best establish platforms for curatorial and artistic discussion through public engagement with various programmes, from producing and staging events, symposia, talks, performances and screenings. 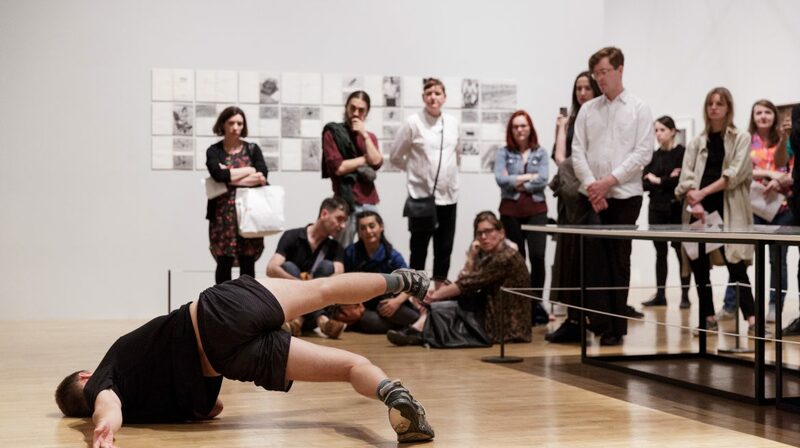 Jane Scarth is Curator: Public Programmes at Whitechapel Gallery, developing and delivering public events including talks, symposia and performances. Previously she held the role of Residency and Programmes Manager and Delfina Foundation, responsible for London-based residencies and public programming with international emerging to mid-career artists. Gareth Evans is a London-based writer, curator, presenter, producer and Whitechapel Gallery’s Adjunct Moving Image Curator. He is also co-curator of Flipside Festival, Swedenborg Film Festival, Estuary 2018 and Whitstable Biennale. He conceived and co-curated the year-long Utopia 2016 at Somerset House. He created and programmed PLACE, the annual cross-platform festival at Aldeburgh Music, is Co-Director of production agency Artevents and has curated numerous film and event seasons across the UK (e.g. J.G.Ballard, Portugal, Roma Cinema, Armenia) at the Barbican, ICA, Institut Francais, Arnolfini and Watershed among many others). He commissioned Things by Ben Rivers, which won the 2015 Tiger Award at Rotterdam International Film Festival. He worked on the film pages of Time Out from 2000-20005, edited the international moving image magazine Vertigo from 2002 – 2009 and now edits Artesian and co-edits for Go Together Press and House Sparrow Press.